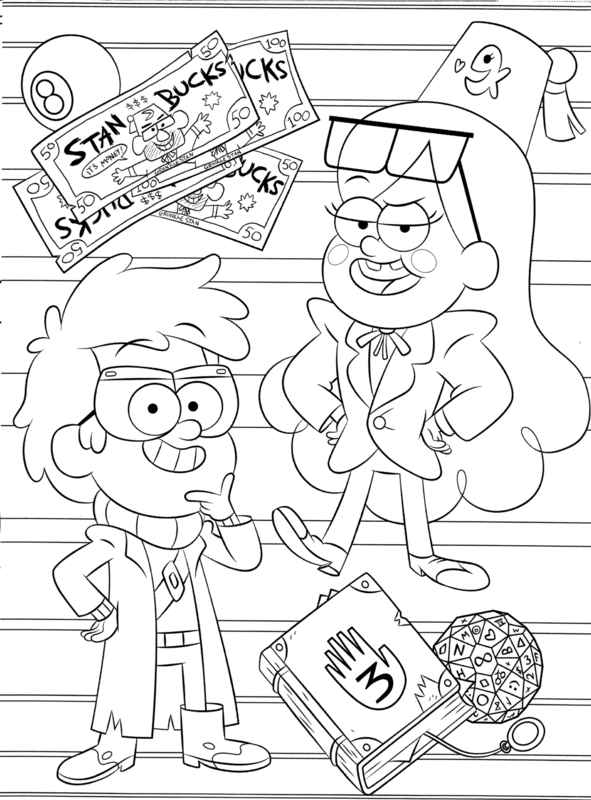 "The Pines twins find themselves on a prismatic adventure when Dipper gets trapped in a magical coloring book. 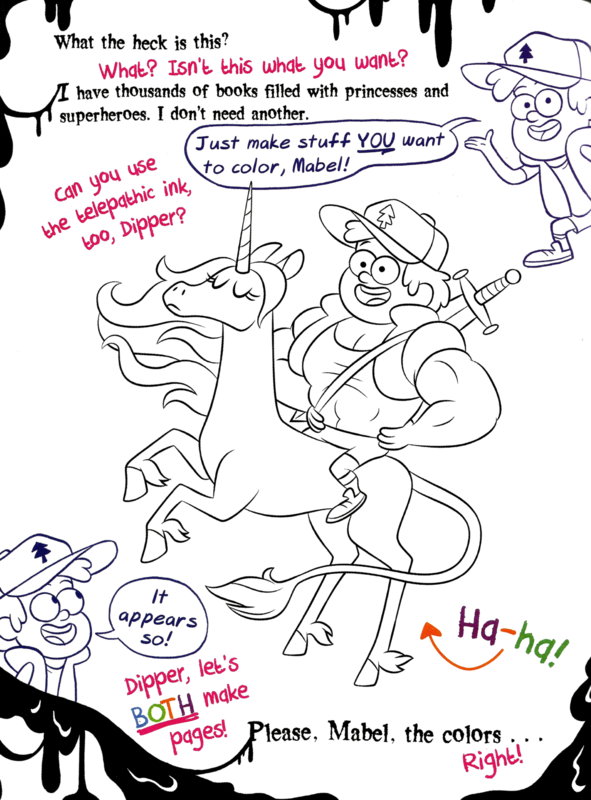 The only way out is for Mabel to color him to freedom with the help of a strange new friend named Chamelius PenDraggin. 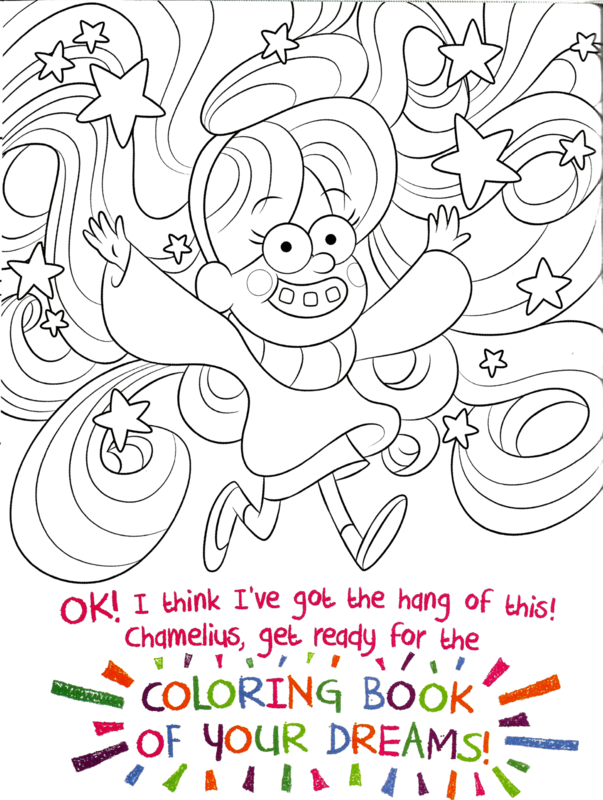 The more Mabel colors, however, the more things start to go awry." 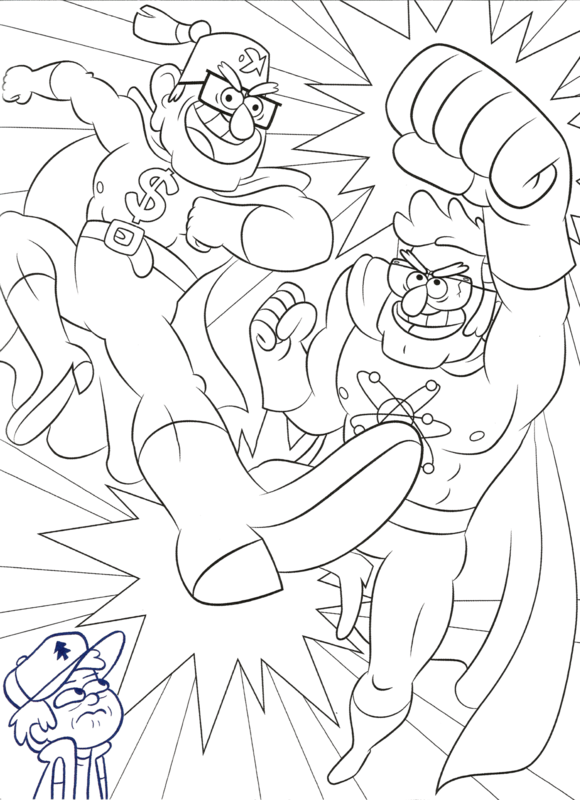 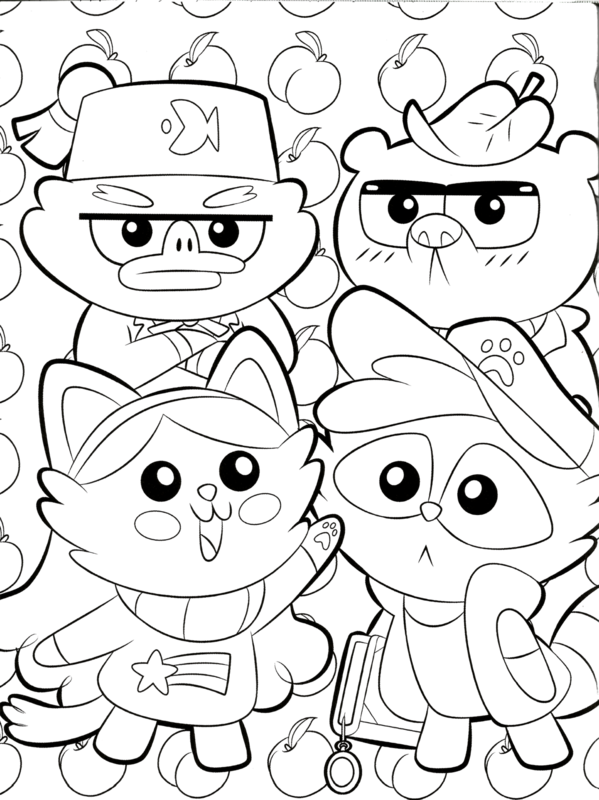 All the pictures are new original pictures created for this book, it's not clip art taken from the show or the internet. 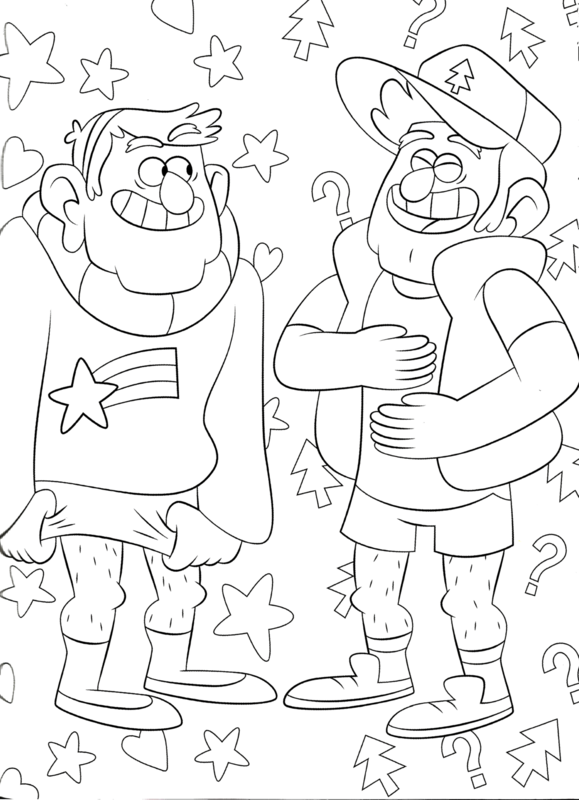 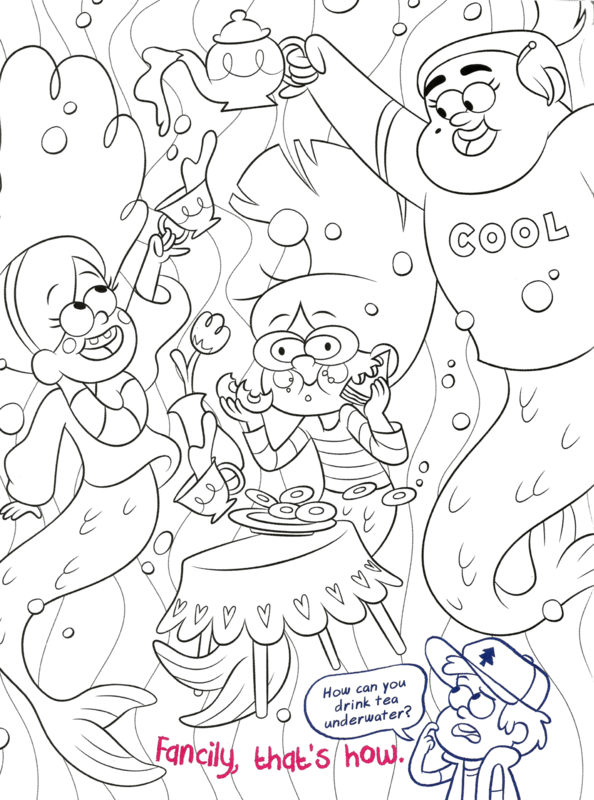 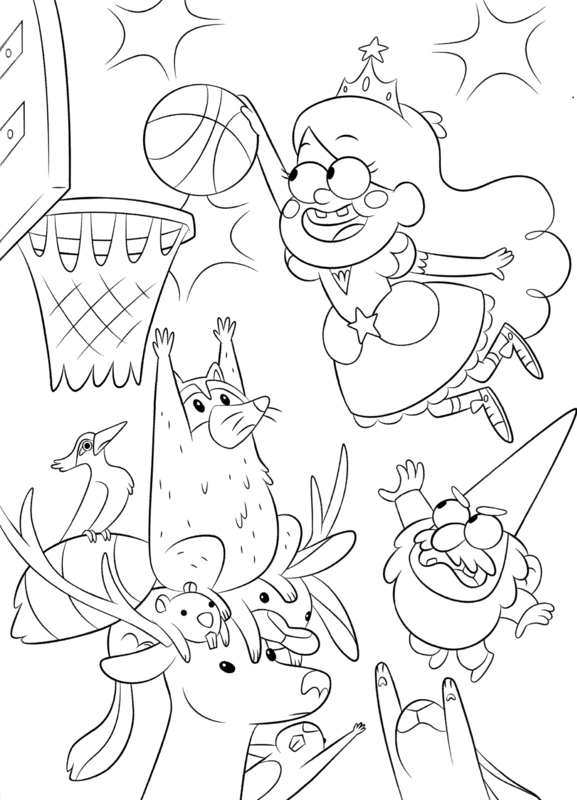 And so now we have new Gravity Falls coloring pages. 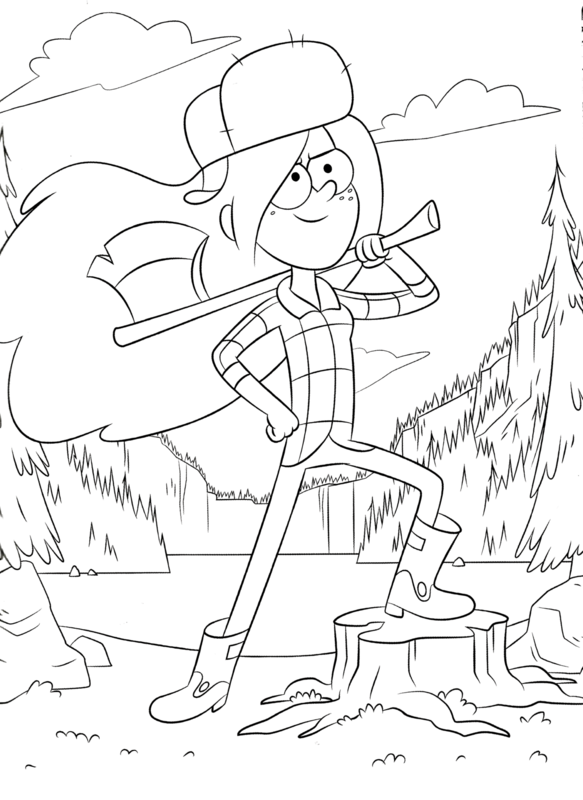 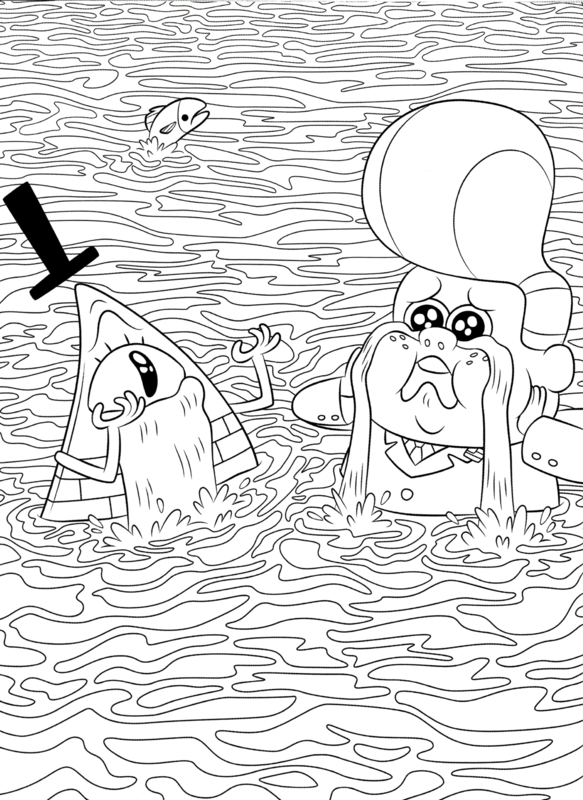 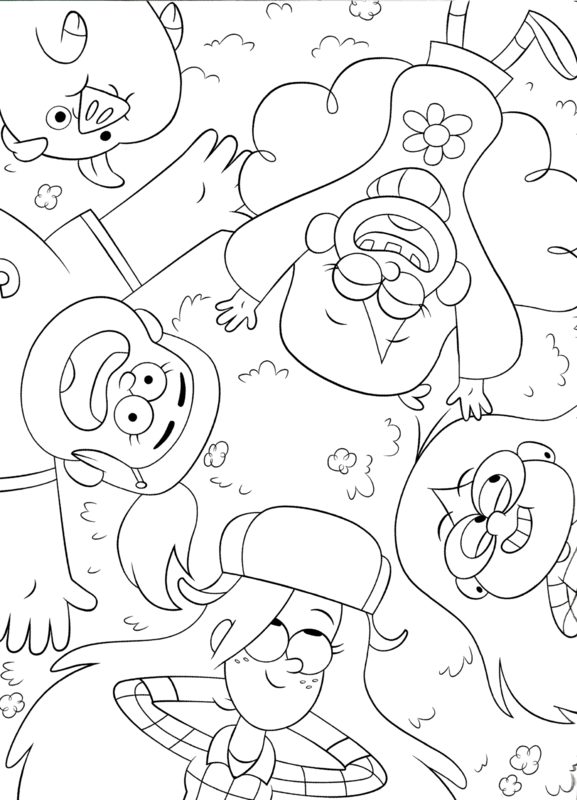 Thanks to @minijenn from tumblr, now we can color some of these Gravity Falls pages digitally (these pages are transparent).